There are some amazing facts about our body that will blow your mind. Do you know that baby can see in black and white? Or that one of your hairs last up to 7 years? 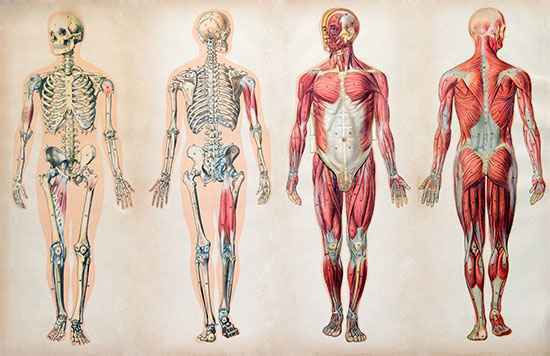 The human body is fascinating and we are going to share some unbelievable facts about human body. 1. Your cornea gets its oxygen directly from the air. The cornea is the outermost layer of the eye that covers the front side of your eye. It helps in focusing image. It is the only part of your body without a blood supply. 2. Do you know that 80 % of your brain is water? We all know the importance of water as it constitutes 75 % of our body. But it is rarely known that 80% part of our brain is water. The dehydrated condition can occur because there is no way to store water in our body. 3. Can you imagine yourself surviving without the stomach? Yes, it is possible. Living without a Pancreas, a kidney is somewhat simple. What about your stomach? The stomach is an integral part of your body as it helps in digestion. But in severe cases like cancer doctors choose to remove it completely. The functioning of a stomach is replaced by the small intestine. 4. During your lifetime, you produce saliva that is enough to fill two swimming pools. On an average your body can produce 1.0 to 2.0 liters of saliva. If we calculate according to these readings, in a year human body will produce 288 to 576 litter saliva. If a person lives for 80 years it means he will produce 57600 litters saliva in his lifetime. This amount is enough to fill two swimming pools. 5. Did you notice your hearing become less sharp when you eat too much? If you are going to some concert or at musical night after having too much meal then you may be doing with yourself a disservice. Try to eat a small amount of food if you want to keep your pitch perfect. 6. The average lifetime of human hair is 3 to 7 years. Do you remember your hair in school days? Or in college? You can feel changes in your hair. This is due to this fact that your hair’s life is a total of 3 to 7 years. 7. It is difficult to destroy human hair even with acids. It is another interesting fact about your hairs. Despite this fact that human hairs are flammable, you cannot destroy human hair even with strong acid. 8. You are not going to believe this fact but you are about 1cm shorter at night. At first glance, you may found it baseless and there are many questions in your mind like how is this possible? But it’s true because cartilage between your bones is compressed at night. 9. The nose can remember 50,000 cents. Our nose is not as sensitive as of animals but still; it can recognize and remember 50,000 different types of cents. Researchers say that human eyes can differentiate among thousands of colors and ears can millions of sounds. 10. At age of sixty mostly humans lost half of their taste buds. This is the fact that as you are getting older you are losing your taste buds and at the age of 60 in men and 50 in women you will lose half of their taste buds.